Opiates, also called opioids or narcotics, are a class of drugs derived from opium. They are highly effective in treating patients suffering from acute leg or back pain. Because of their highly addictive nature, they are usually prescribed for only 1 to 2 weeks. Opiates work by inhibiting the pain-response of the nervous system and reducing the number of pain-signals sent to the brain. They also subdue the brain’s perception of pain. Some common prescription opiates include Oxycontin (oxycodone), Dilaudid (hydromorphone), Vicodin (hydrocodone and acetaminophen) and morphine. The illegal drug heroine is also an opiate. Opiates create a euphoric sense of well-being that becomes addictive for some patients. Over time, they develop a tolerance to the drugs, prompting a gradual increase in dosage that can result in severe dependency. Prescription opiate abuse is often the gateway to heroine, a potentially fatal addiction. According to the 2012 United Nations World Drug Report, 36 million people worldwide, including 2.1 million in the U.S. alone, abuse prescription opiates. Reducing a person’s opiate intake or stopping it altogether may cause emotional and physical symptoms and, often, lots of pain. Some early symptoms of opiate withdrawal include anxiety, insomnia, excessive perspiration, irritability and muscle tension. Later symptoms include intense mood swings, dehydration, dilated pupils, nausea, high blood pressure, diarrhea, and severe muscle and abdominal cramps. If you or someone you know suffers from opiate addiction and is ready to make a change, some healthy habits and home remedies can help ease withdrawal symptoms and increase the chance of a successful recovery. Also, seek help from your doctor. Medical intervention is particularly important during severe withdrawal. 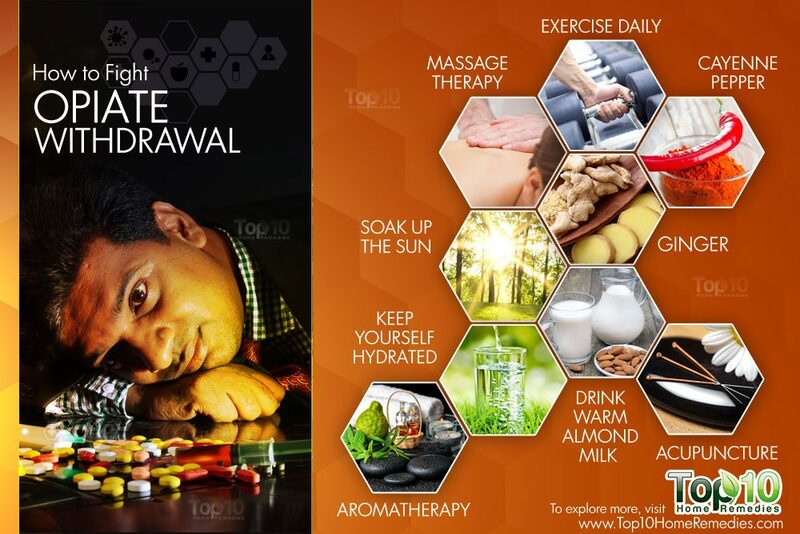 Here are the top 10 ways to fight opiate withdrawal. Dehydration due to diarrhea and vomiting is a common symptom of opiate withdrawal, causing many people to end up in the hospital. Drinking plenty of fluids is the first step toward healing. Furthermore, water will release tension in the muscles and joints. Stressed muscles constrict the capillaries running through them, thereby obstructing the flow of oxygenated blood. They also trap toxins, which accumulate and worsen the pain. Drinking water will flush the toxins from the body and lubricate tendons, joints and muscles. This reduces muscle stress, leading to better oxygen-rich blood flow. The release of oxygen in the muscles will provide further relief. Drinking a homemade electrolyte solution also helps combat dehydration. It restores the electrolytes (body minerals responsible for fluid balance) that are lost with diarrhea and excessive vomiting. As is the case with any substance abuse, the drug interferes with the body’s normal functioning. Drugs, especially opiates, mimic our brain’s neurotransmitters. Opiates most commonly mimic endorphins – the pain- and stress-fighting neurotransmitters. Over time, the brain gets used to these artificial endorphins and stops making its own. During withdrawal, the body has a hard time adjusting back to supplying its own endorphins. This leads to an endorphin deficiency causing severe emotional and physical pain, such as mood swings, anxiety and unbearable muscle pain. Physical exercise like running, jogging, swimming, aerobics and weight training helps the body create endorphins in abundance. A daily exercise routine can help fight both physical and emotional withdrawal symptoms. For years, aromatherapy has been used as a holistic body treatment. 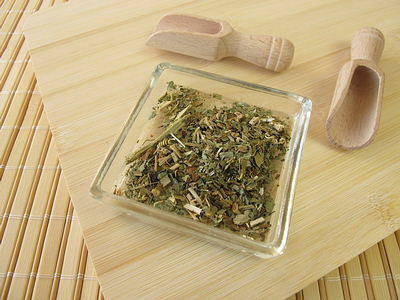 It is especially effective in relaxing, calming and destressing those suffering from opiate withdrawal. Flowers, leaves, bark, stalks, roots or rinds of plants and herbs are used to extract essential oils, which are then mixed with lotion, oil or alcohol. These concoctions can be sniffed, applied on the skin, added to bathwater or used in body massage. When the nerves in the nose encounter the distinct fragrances of these essential oils, they send impulses to the brain that causes it to produce endorphins. These endorphins reduce anxiety and depression, and calm strained muscles. In a bathtub full of warm water, add 10 to 15 drops of vanilla, lavender, peppermint, rosemary or ginger essential oil (or a combination of them). Soak in it for 20 to 30 minutes, a few times a week. You can even put a few drops of any essential oil on a tissue or handkerchief and inhale it to fight stress and anxiety. What better way to get plenty of vitamin D than basking in the warmth of the sun each morning? According to a 2008 study published in Environmental Health Perspectives, the sun’s rays help produce vitamin D in the body that boosts the production of serotonin – the happiness-inducing neurotransmitter. 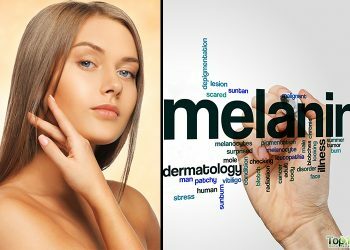 Regular sun-exposure is strongly advised for those suffering from drug-abuse withdrawal, which can cause severe depression. The boost of serotonin enhances the mood and releases stress. Sun exposure also promotes the production of endorphins in the body that help combat muscle pain. Massage therapy is another way of relaxing post-opiate aching muscles. When the opiate supply stops, the body goes haywire trying to adjust to the lack of pain-fighting endorphins. This leads to muscle and joint pain that often becomes unbearable. Massage provides regulated pressure against the muscles and joints that promotes circulation and creates body heat. This relaxes and soothes the soreness. A 30–minute massage a few times a week for several weeks can also help promote better sleep and reduce pain, depression and anxiety. Acupuncture is the ancient Chinese practice of inserting needles into specific points in the body for stress and pain relief. It is especially helpful in opiate withdrawal, as it can directly address the aching areas as well as those that connect to the brain and regulate mood. The World Health Organization has identified 64 medical conditions that acupuncture can treat, including drug abuse, according to a 2012 study published in Evidence-Based Complementary and Alternative Medicine. Furthermore, acupuncture can help treat muscle pain, joint soreness and spasms. 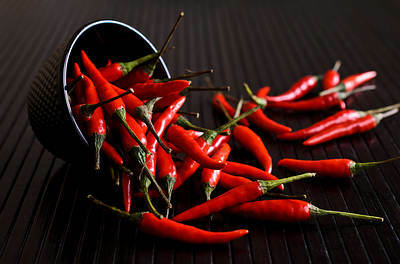 Cayenne pepper contains a substance called capsaicin that causes an endorphin rush in the body when consumed regularly. This in turn increases the body’s temperature. This heat propels the production of endorphins that help ease withdrawal symptoms, such as body aches, anxiety and mood swings. Furthermore, capsaicin alleviates pain by inhibiting the activity of certain chemicals in the body responsible for carrying pain impulses to the brain. Mix ½ teaspoon of cayenne pepper in a glass of warm water. Drink it 20 minutes before breakfast each morning. Also, sprinkle generous amounts of cayenne pepper in your daily recipes. Ginger has been traditionally used to treat gastrointestinal ailments, such as nausea and diarrhea, induced by opiate withdrawal. Ginger also contains gingerols that boast incredible anti-inflammatory properties, according to a 2013 study published in International Journal of Preventive Medicine. 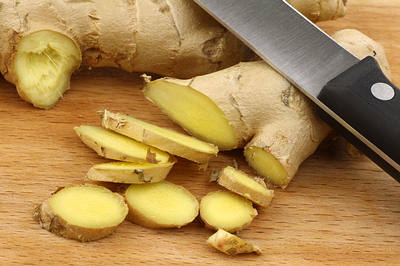 Therefore, consuming ginger may also relieve muscle and joint soreness. Moreover, a 2012 study published in the Journal of Ethnopharmacology showed that ginger extract has a potential antitolerant/antidependence property against chronic use of morphine. Drink 2 to 3 cups of ginger tea daily. To make the tea, simmer 1 to 2 teaspoons of sliced ginger in 1 to 1½ cup of water for 10 minutes. Strain the tea and add a little lemon juice and honey for taste. Include ginger in your cooking or take a supplement after consulting your doctor. The central nervous system, which controls sleep patterns, comes to depend on opiates to function in an addicted person. Taking away the opiates causes nervous system malfunctions and interferes with a normal sleeping pattern, even causing insomnia. Getting key nutrients can help promote better sleep. Magnesium and calcium, in particular, are beneficial in promoting restful sleep. Since almonds are a rich source of magnesium and milk contains calcium, drinking a warm glass of homemade almond milk each night will help you sleep. Put 1 cup of almonds (soaked overnight and drained) and 2 cups of water in a blender. Blend it for 2 to 3 minutes, until a thick paste forms. 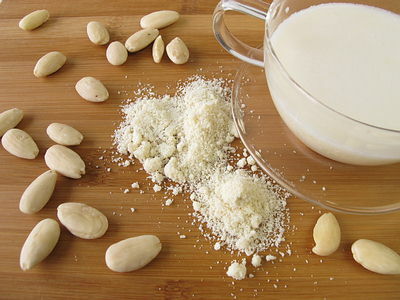 Boil 1 cup of milk in a pan, then add 1 to 2 teaspoons of the almond paste and mix well. Passionflower can help fight stress, anxiety and irritability that people often face after quitting opiates. According to the University of Maryland Medical Center, passionflower increases the level of certain chemicals in the brain called gamma aminobutyric acid (GABA) that decrease stress and induce a sense of relaxation. Furthermore, the stress-relieving properties of passionflower help improve sleep and fight insomnia. This herb even calms the nervous system and helps reduce joint soreness, muscle pain and spasms. 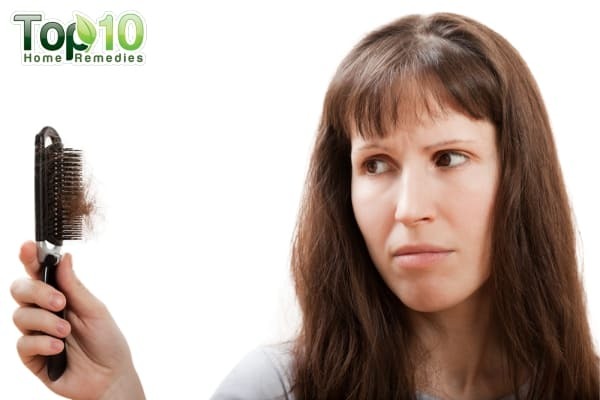 Steep 1 to 2 teaspoons of dried passionflower in a cup of hot water for 10 minutes. Drink this tea once daily. You can opt to take this herb in supplement form, but only after consulting your doctor. Note: Avoid overconsumption of passionflower, which may cause dizziness, palpitations, drowsiness and nausea. 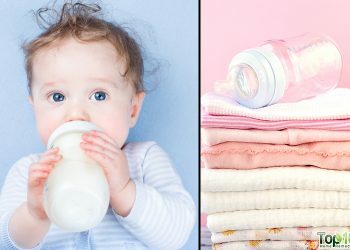 The herb is not recommended for pregnant or breastfeeding women. Drink 3 to 4 cups of chamomile tea daily. It has anti-inflammatory properties that soothe aching muscles and calm a diarrhea-ridden stomach. To relieve nausea, soak 1 tablespoon of fenugreek seeds in water overnight, mix it into a paste in the morning and eat it. Ibuprofen, Tylenol (acetaminophen) and Imodium are effective over-the-counter medications for fighting opiate withdrawal symptoms. Before taking any medicine, consult your doctor. 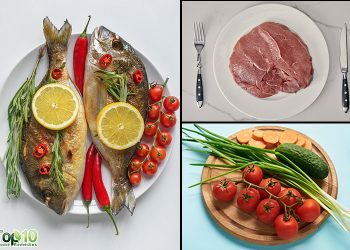 Follow a healthy diet that includes lots of vegetables, fruits and protein. Take up a new hobby or start doing something that will keep you busy. Sleep as much as you can to give your body and mind the rest it needs for a full recovery. During withdrawal, your body temperature will fluctuate between hot and cold, so dress in layers to allow you to easily adjust to these fluctuations. Take an Epsom salt bath once or twice a week to help improve circulation as well as reduce inflammation and muscle cramps. As I do NOT disagree with any of these remedies, they are not very realistic at all when it comes to early withdraw. I myself know from first hand experience but it seems to me they would know from just a little common sense. When u get started, u can’t even take a sip of water without throwing it up. Violently throwing it up I may add. There is no keeping hydrated I promise u. U can barely lift your head to get sick or to run to the bathroom. There is definitely no exercising for quite a little while. All that you will be capable of is laying down with lots of tossing, turning and puking. Sleep will be non existent for a long long time. Weeks or maybe even months. Maybe after the sickness starts to dissipate, u can use these suggestions they have posted here in this article.. They will more than likely be great remedies at that time. This makes it all sound so easy and effortless when in fact it will more than likely be the hardest thing u will ever do. In a word, HELL. So so worth it though. My suggestions would be to go to the drug store and grab some Imodium ad, some muscle rub, some Gatorade and flavored ice. Get ur bed ready. Get a bucket and get started right away. The sooner u get started, the sooner u will get ur life back. Soaking in the bath offers a little relief. Also, if u are fortunate enough to have someone give u the occasional massage. The muscle rubs works great on throbbing muscles. Legs mostly. Everyone is different but these are my more realistic “remedies”. Good luck and god bless! I became dependent on hydrocodone when I was sent to a pain management clinic for severe pain from arthritis. Its been well over a year, and two surgeries, and I’m still on hydrocodone and oxycodone. I’m dependent on the drugs, but not addicted, so my withdrawal is not as bad as what I’ve been reading, but there is withdrawal nevertheless. If there was something I could take to lessen the withdrawal I would love to know what it is I just have the muscle pain,,, but no vomiting or diarrhea. I’m 78 and really need to get off these opiates.